Pipe Line Under the Ocean (PLUTO) was designed to pump petrol from storage tanks in southern England to the Allied armies in France in the months following D-Day. This page chronicles one firm's involvement in the top secret project to manufacture the equipment for the production of the pipeline. As one of the employees at David Bridge & Co Ltd (DB & Co), a heavy engineering firm located in the Castleton suburb of Rochdale, about 10 miles north east of Manchester, WW II saw us intimately involved with high-priority Government contracts. To set the DB & Co scene, one section of the firm built and supplied heavy-duty machines for the rubber processing industry and the then mushrooming plastics and synthetic rubber processing industry. Those machines covered the full range, from hydraulic splitter-presses that sliced bails of raw rubber into chunks, through the essential Banbury masticating machines, the two-roll mills, the calendaring equipment, the extruders and almost every item of specialised plant equipment required by individual rubber processing companies. The client list included all the tyre manufacturers including those requiring equipment for producing aircraft tyres for the RAF and bullet-proof tyres for the Army. Other clients included firms that produced the ebonite battery cases for the Navy's submarine fleet. Another section of the firm supplied hydraulic presses including, the special vulcanising presses used, for example, in the production of tyres and the processing of the extra-long colliery conveyor belts. Yet another section of the company supplied most, if not all, of the UK's cable production firms with the whole range of plant and equipment for the production of electric cables. The range extended from fine radio wires to heavy-duty lead-covered and wire-armoured electricity distribution cables to suit both underground and undersea environments. Inevitably, WW II saw some client firms receive bomb damage by enemy action. In many cases, DB & Co's sturdily built machines suffered little more than superficial damage, so it became 'run-of-the-mill' for bomb damaged plant items to pass through the works for repair and refurbishment. Other components passed through as replacements for items that had failed due to war-time's abnormal wear. Consequently, when an occasional 'peculiar' item for a cable-machine passed through the works, it appeared to be yet another 'spares-job' and as such, those items attracted no more than normal interest. 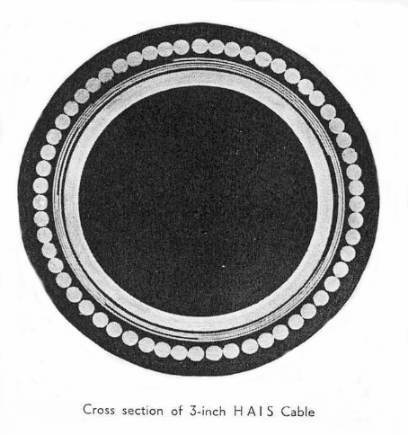 With the advantage of hindsight, we later realised that the steady flow of 'peculiar' cable machine items had formed a series of progressive modifications to existing cable-making machines, the outcome of which led to DB & Co receiving a contract to design and supply six unusually large machines for producing a special type of armoured lead cable. As the exceptional armouring stage had 57 strands of steel wire, the machines promptly became dubbed as 'THE HEINZ JOBS'. Detailed specification; lead tube internal bore 3.05 ins, minimum thickness 0.175 ins coated with petroleum residue compound, two layers of 10 mm prepared tape two ins wide, one layer of bitumen prepared cotton tape 2.25 ins wide applied with slight overlap, four layers of unvarnished cold rolled mild steel strip 2 ins wide by .022 ins thick, coating of petroleum residue compound, one serving of tarred jute yarn, 57 galvanised mild steel wires each 0.192 ins and separately compounded, coating of compound, two servings of tarred jute yarn compound between layers and overall and finally a coating of whitewash. The outside diameter was about 4.5 ins, maximum bursting pressure was 4,350 lbs/sq in, weight per mile approximately 47 tons - 54.25 tons when filled with pressurised water. Glovers Cables, located in Manchester's Trafford Park Industrial Estate, took delivery of the first Heinz Job, followed later by a second machine. The remaining four being delivered to a cable firm on the Thames. We heard via the 'grape-vine' that Glovers machines produced a hollow cable, effectively an electrical cable minus its core of electrical conductors. We also heard that the machines produced the special cable in such unprecedented lengths that they had to pass along an overhead conveyor. The conveyor and its cable hauling units formed an unmistakable landmark that extended from the end of Glovers works and delivered the cables to either a cable-ship berthed on the Manchester Ship Canal alongside Trafford Park, or coiled the unwieldy cable alongside the canal wharf for later shipment. Like all war-time projects, the Heinz Jobs became lost in a veil of secrecy. We gained no 'job-satisfaction', as we had no way of knowing if the specially built machines had produced a successful product or whether they had proved to be one of war-times brain-storming schemes that had failed during field tests and fallen by the wayside. When, in June 1945, Churchill announced to the world that petrol had been supplied to the invasion forces via pipelines under the Channel, we felt certain that it must have flowed through the hollow cables made by the Heinz Jobs produced by DB & Co. But secrecy continued and our thirst for 'job satisfaction' remained unquenched. Then, in 1947, we spotted an advert that announced the showing of a 16mm sound film titled "Job No 99 -- PLUTO -- Pipe Lines Under The Ocean." The 30 minute film proved to be a spectacular example of British Engineering and left indelible impressions on my grey matter. But it also caused a twinge of disappointment. The film showed the entirely successful production and laying of STEEL pipelines across the Channel, thus providing a strong hint that the LEAD version had indeed fallen by the wayside. In due course, the Imperial War Museum provided me with a video version of their silent film, so both the LEAD and STEEL versions have been combined as one treasured record of PLUTO. The 'lead' version's production stages include views of the cable machine in action, each view being readily recognisable as one of the six Heinz Jobs built by DB & Co. Even way back in the late 1980s it became clear that PLUTO's fine details were very thin on the ground. That is what prompted me to put my personal recollections and the results of my research on record, otherwise future generations will find very few of PLUTO's nitty-gritty facts have survived. By the time the two HAIS flexible pipelines and the two HAMEL steel pipelines to Cherbourg were pumping petrol, the Allied armies were moving west towards Paris and Belgium. 11 new HAIS pipelines and 6 HAMEL pipelines were laid in a swept channel two miles wide between Dungeness and Ambleteuse near Boulogne to shorten the supply route. In all, about 500 miles of pipeline were laid in an average laying time over the 30 mile stretch of about 5 hours. 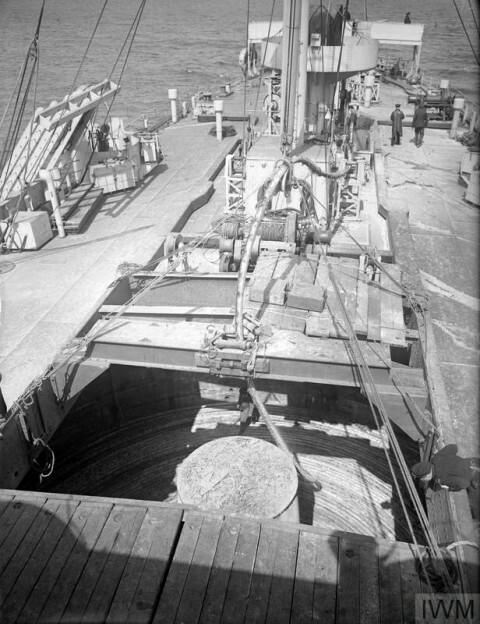 In January 1945, the system delivered a disappointing 300 tons but by March this had increased to 3000 tons and later still to 4000 tons. This amounted to over 1,000,000 gallons per day, giving a total of 172,000,000 gallons delivered up to the end of hostilities. 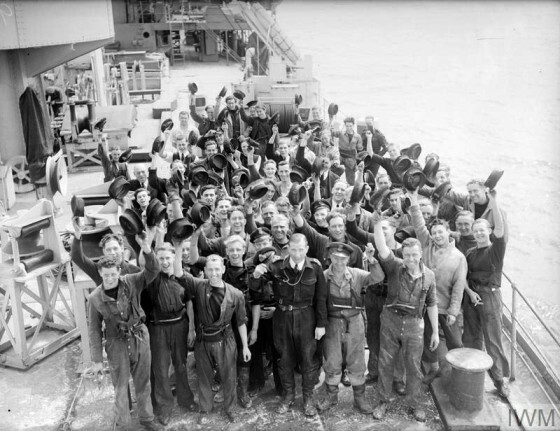 During the operation to lay the cables, an HQ ship, several cable ships, tugs, trawlers and barges were employed on this specialised work - a total of 34 vessels with 600 men and officers under Captain Hutchings. The 21 pipelines were vital arteries, which enabled the Allied Air Fleets and Land Forces to maintain the momentum needed to secure a victory. 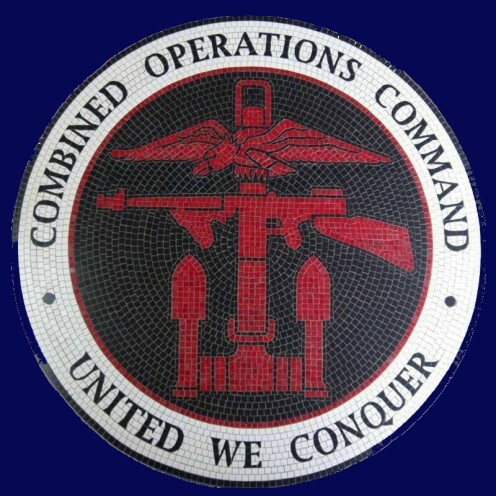 Moreover, PLUTO obviated the need for fleets of tankers, sparing their crews the ordeal of concentrated enemy attacks in congested waters. Issue 42 (June 2004) of the Archive Magazine (the quarterly journal for British Industrial and Transport History). An excellent account of the PLUTO story by the author of this page.